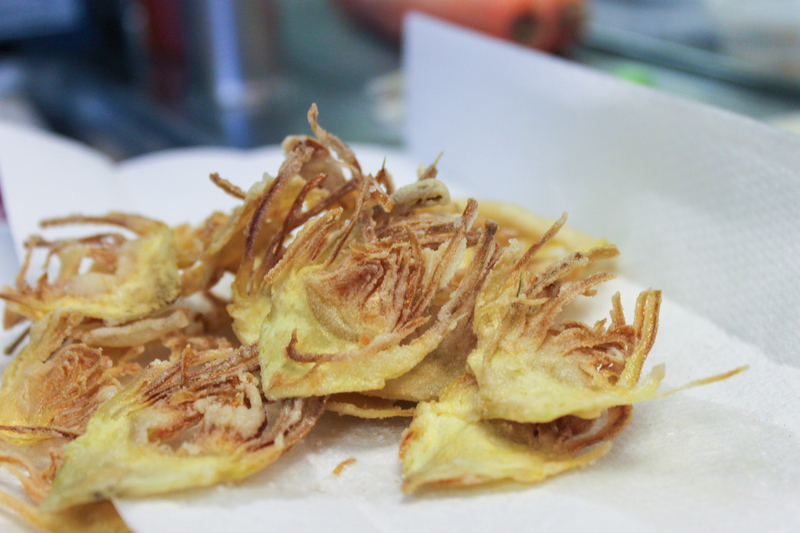 If there’s a vegetarian version of the internet’s bacon meme, it could quite possibly be the artichoke. Vegetarians and vegans alike flock to it, or any recipe using it. And this one will be no exception. 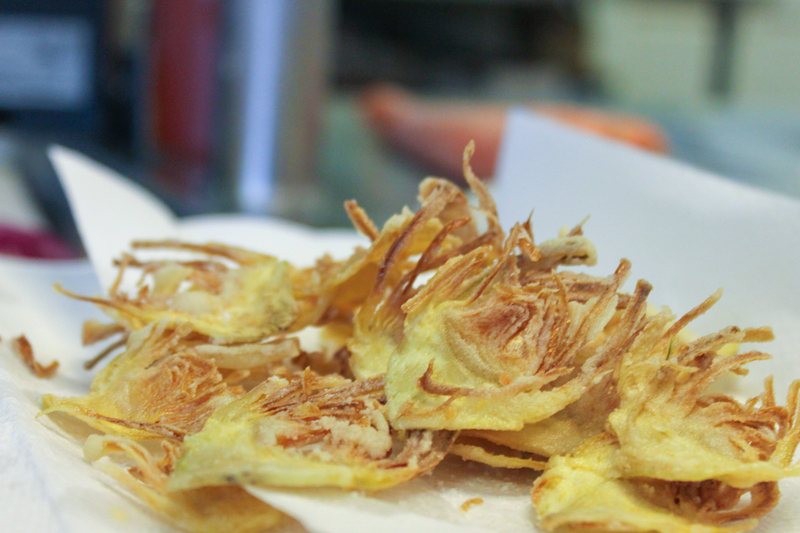 Even though it’s fried, these artichoke chips are very light all while remaining big on flavor. You can simply enjoy them on their own or as a garnish. 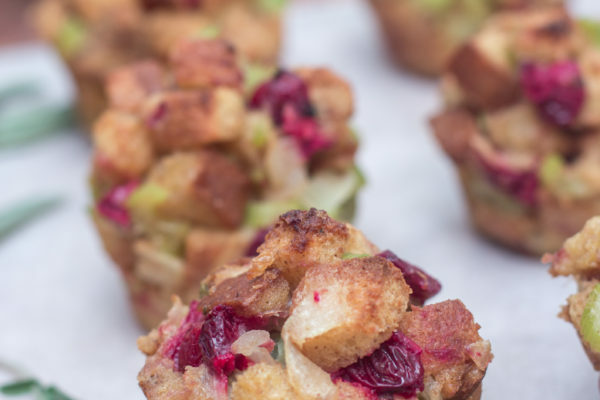 I made this heavenly snack with Sondra Bernstein and her business partner Chef John Toulze when we hung out for the day back in May. I had been touring California, and both John and Sondra were generous enough to spend some time with me. Not only did I get to tour their biodynamic farm, but I also got to cook with John, partake in some of their signature cocktails like this Lavender Mojito all while charging my borrowed Chevy Volt! 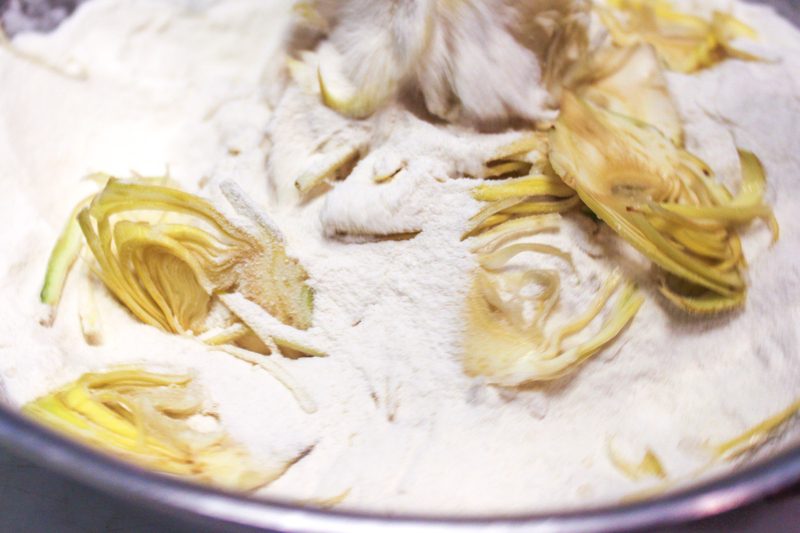 But let’s make some artichoke chips, shall we? Bring vegetable oil to 350 degrees. 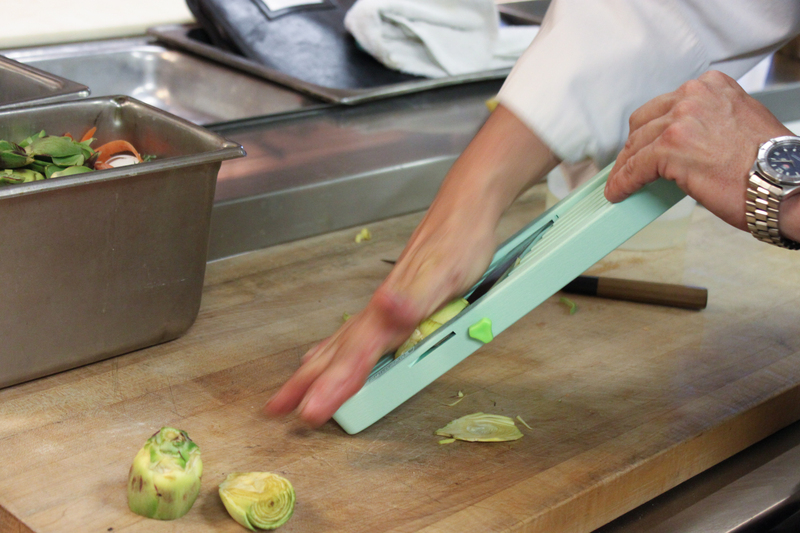 Peel down the tough outer skins of 8 baby artichokes and remove the thistles on top. 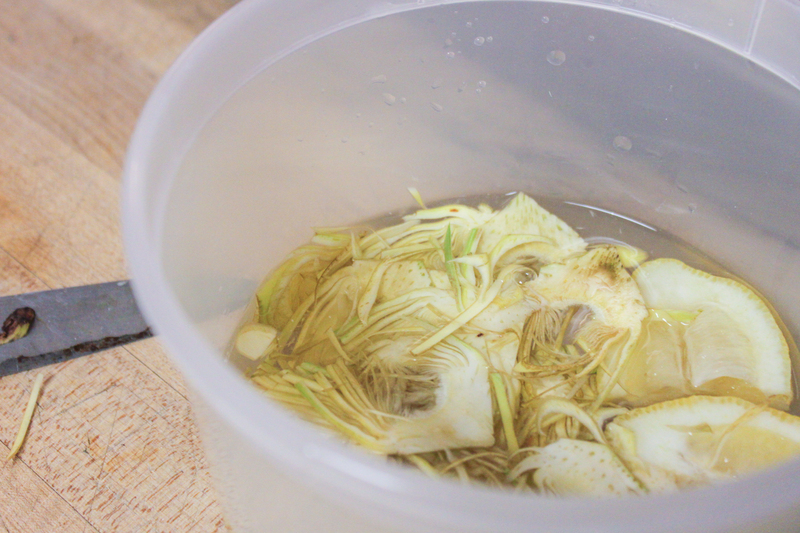 Shave the artichokes as thinly as possible, placing them in just enough water to cover. 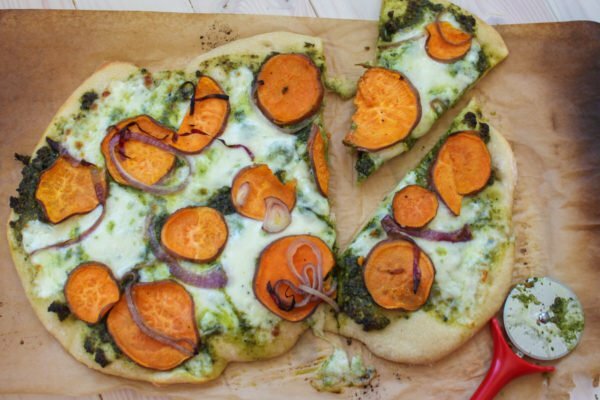 Toss the slices in Wondra flour, lightly coating them. 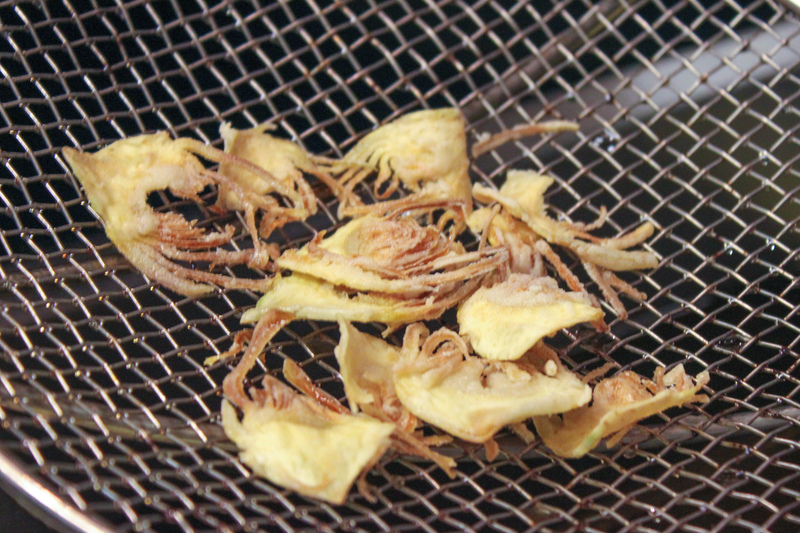 Deep fry them in the hot oil until they just start turning brown. Remove them and place them on a paper towel to remove the excess oil.